With plenty of moving services, Meathead Movers is fully prepared to make Santa Ana your new home. Our clean-cut student athlete movers are dedicated to fulfilling all your moving needs efficiently. Whether you are moving to Santa Ana for its central location or the wealth of activities offered throughout the city, you’re in for a treat. Santa Ana is the seat of Orange County. It boasts some of the finest attractions in the area including the Bowers Museum and the Discovery Science Center. 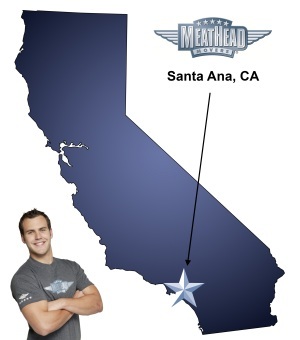 At Meathead, we are proud to be your Santa Ana movers. The city of Santa Ana is full of reminders of its rich cultural history. Originally inhabited by several Native American tribes, Santa Ana was also a part of Spanish sergeant Jose Antonio Yorba’s expansive Southern California ranch. The city was incorporated in 1886 and became a hub for American immigrants. Beautiful buildings from the Spanish Colonial period can still be seen in the city’s Historic District. No matter where you settle down in Santa Ana, you’ll only be a stone’s throw away from great dining and great entertainment. The city’s central arts district boasts artist’s lofts and quirky cafes. Live music, poetry readings, and performances happen almost every night of the week in this vibrant area. Santa Ana is also just a short drive from the beach. Residents of Santa Ana can enjoy visiting many of the prime Orange County beaches without the hassle of a long commute. Those who wish to stay in town for family fun can visit the Santa Ana Zoo, well-known for its excellent primate exhibits and family-friendly atmosphere. As your Santa Ana movers, we’ll be responsible for bringing all your prized possessions to the district in which you choose to live. At Meathead, we understand how to take care of commercial, local and long-distance moves. We also provide reliable packing, storage, on-site relocations, and our distinctive moving concierge service. Our moving concierge services are designed to help you settle down in your new home. If you need a referral to a reliable, local carpet cleaning company or storage facility, we are happy to help you. We provide unique incentive programs for our employees that reward them for providing great customer service and for taking extra care not to damage your possessions. Moving to Santa Ana should be as stress-free as possible. Contact us today for a free moving quote. With our 100% satisfaction guarantee, the only thing you have to lose is the stress that comes from moving! Moving to Santa Ana? Here are some helpful resources. View more Santa Ana resources. Only 3 out of 4 showed up, not a lot of hustle, they forgot the wardrobe box bars so those were useless, and they did not use any floor coverings at my new residence. They know what they are doing ! Great attitudes and punctual!